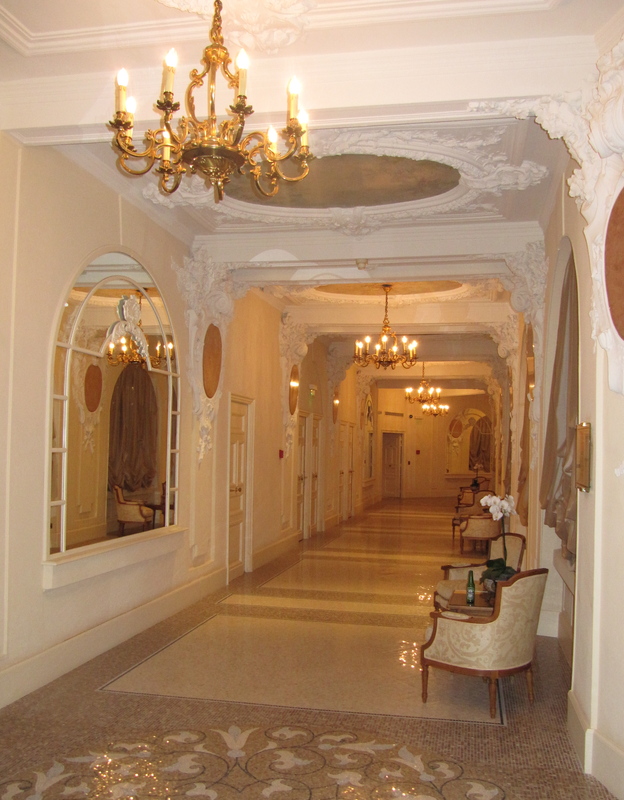 Here is an update on what has changed on Monte Carlo since my last Monaco post. 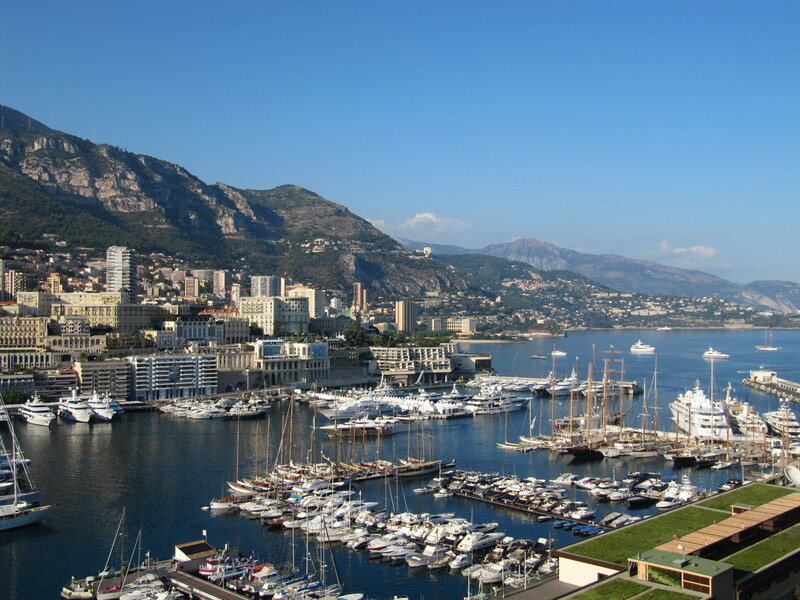 All I ever do here is eat, shop and go to nightclubs and bars so I am afraid these are the only aspects of Monaco life I am qualified to discuss – only frivolous hedonism for today, I’m afraid. 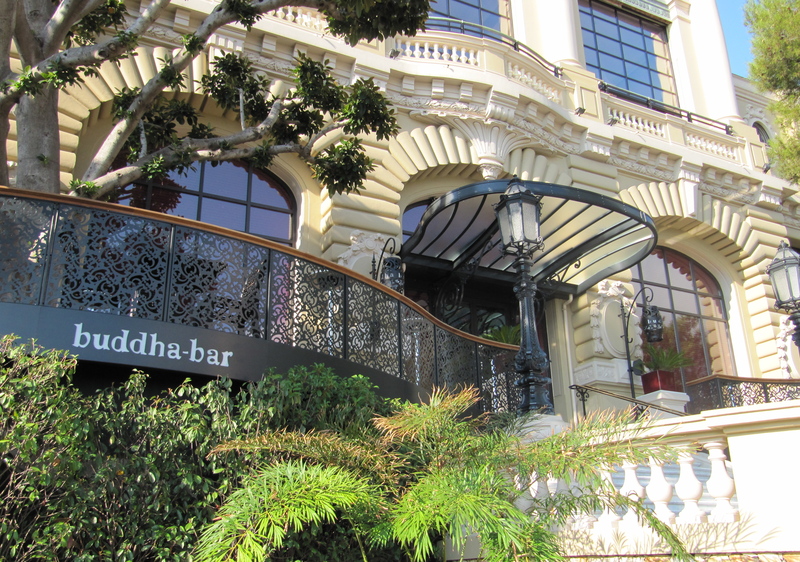 Since my last visit, a Buddha Bar has opened near the place du casino. I am not really into chains and franchises so much but it seems to be the place to be seen this year. As usual, even though it is a happening place, the vibe is cool and unpretentious. 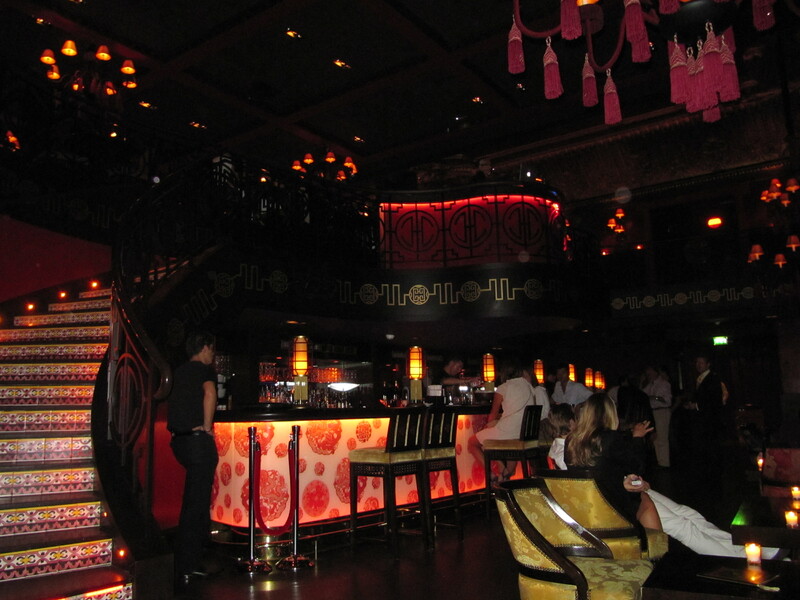 I find this with most places in Monte Carlo, but as with most places in Monaco, Buddha Bar isn’t open late enough. 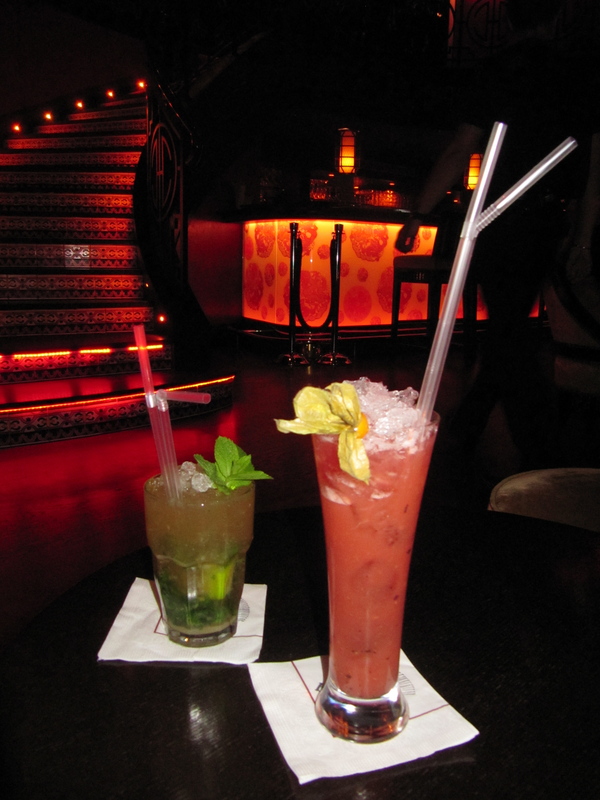 Great music, tropical cocktails – it’s my kind of place. 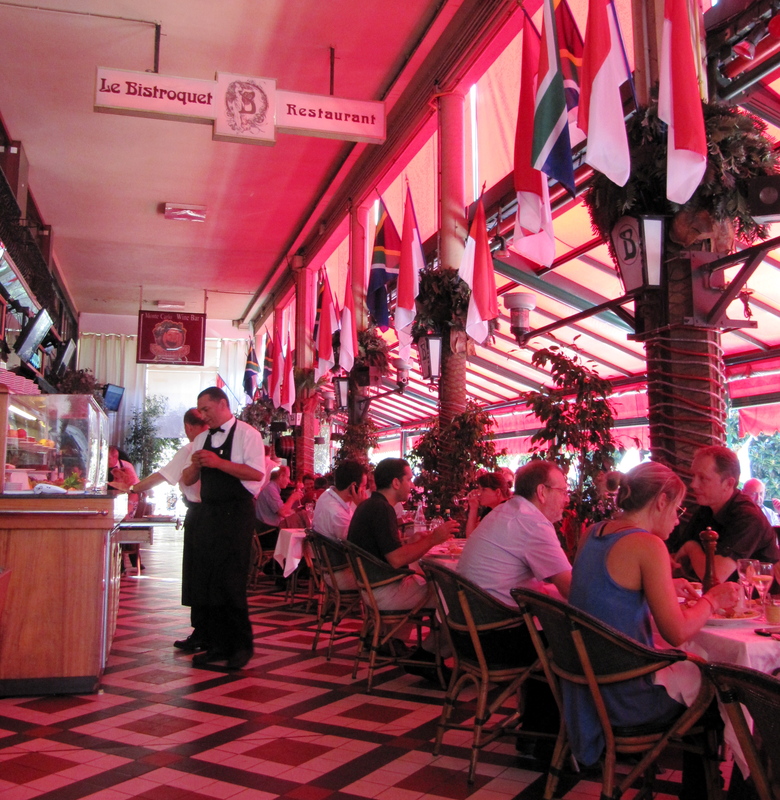 I found a spiffy new restaurant called Le Bistroquet (11, galerie Charles III) which is across the road from the casino gardens and overlooks the Grand Prix circuit. 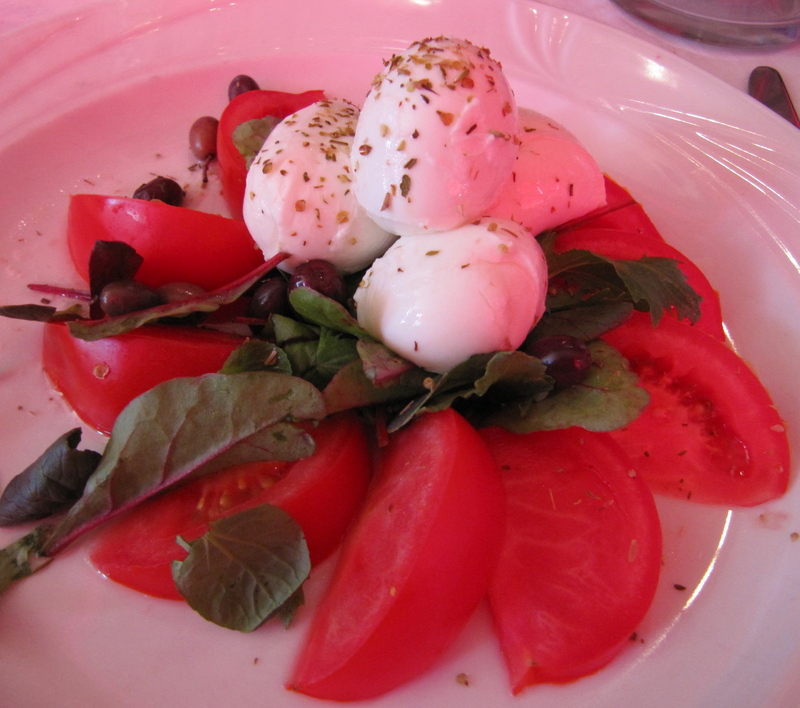 I went here twice just for the insalata caprese and fabulous filleted sole: fresh, amazing and totally boneless. 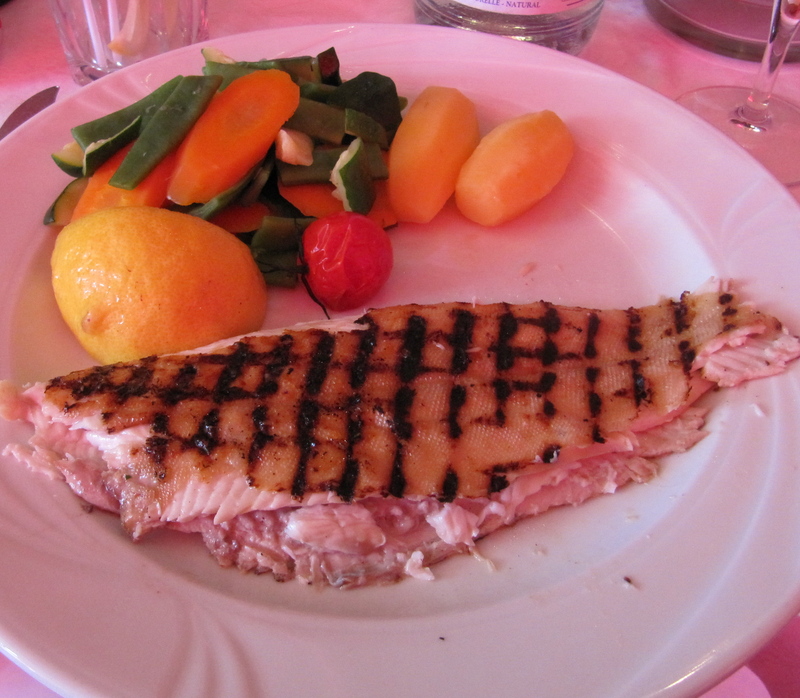 This along with a really nice Chablis for €40 – it’s pretty affordable for Monte Carlo. The shopping situations seems to be as it was: very high-end and exclusive. I had more of a chance to experience the posh shops this time because the yen was high and the euro so low. I got 4 pairs of beautiful handmade leather shoes at the Metropole Shopping Center at ridiculously low cost. This is the kind of shopping mall I like as it consists of boutiques, cafes and it’s stunning. There is no anchor department store, no KFC, no hypermarket – all is original, beautiful and full of quality stuff. Stores of a similar standard can be found around Avenue Saint Charles. There is a Nike, Lacoste and a few similar chains as well as some very expensive little antique shops on Boulevard Princess Charlotte and Boulevard des Moulins – I assume that the $3000 knick knacks come from the homes of the deceased elite. They all seem to have beautiful brass cabin clocks. 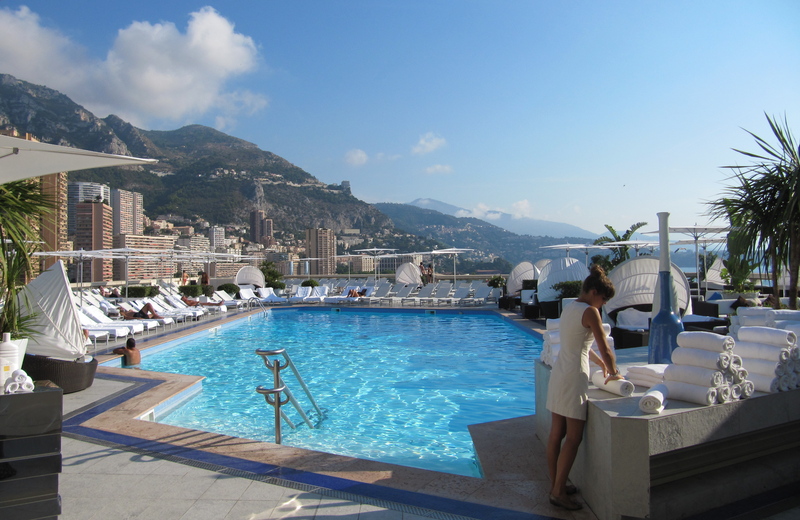 Another new discovery : the pool at the Fairmont, which is small but delightful is not only fun for the day time, is a 24 hour bar and club known as Saphir 24. I believe there is no swimming but it has a jazz band, and it’s just beautiful. I love their brunch. 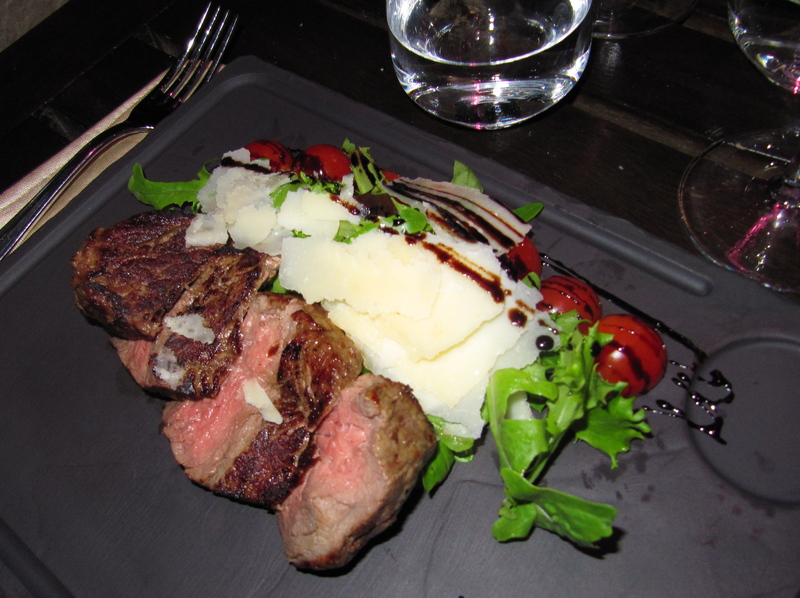 Everything else was much the same as my last Monte Carlo post: Zelo’s was wonderful. My dear friend AT took us there for some more lovely lobster for me, steak for them and Chateauneuf-du-Pape for all of us… again. Until it seeped out of our skin – again…. Hellooo Mr. 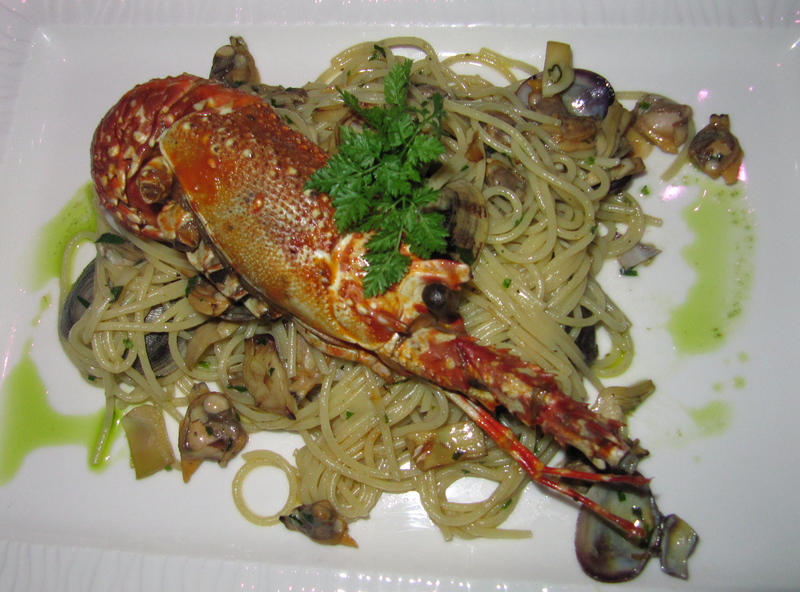 Lobster – You are all MINE! 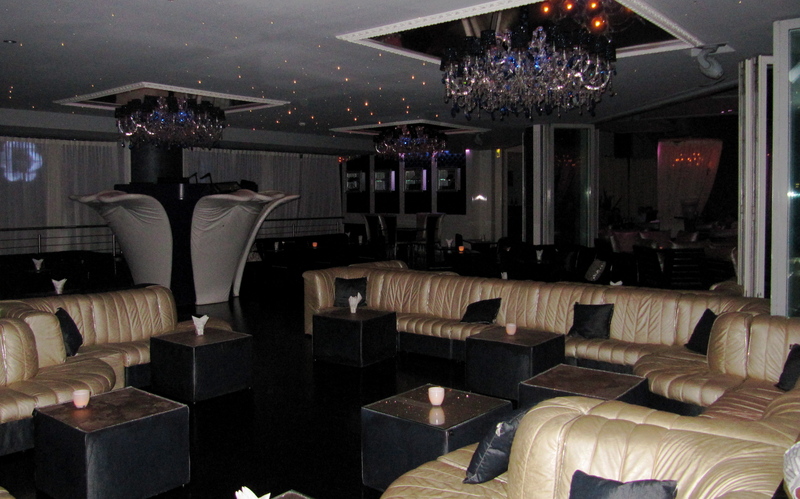 Zelo’s is not just a fun restaurant but a cool club or a “locale piu trendy del Principato di Monaco” as it says on the website. 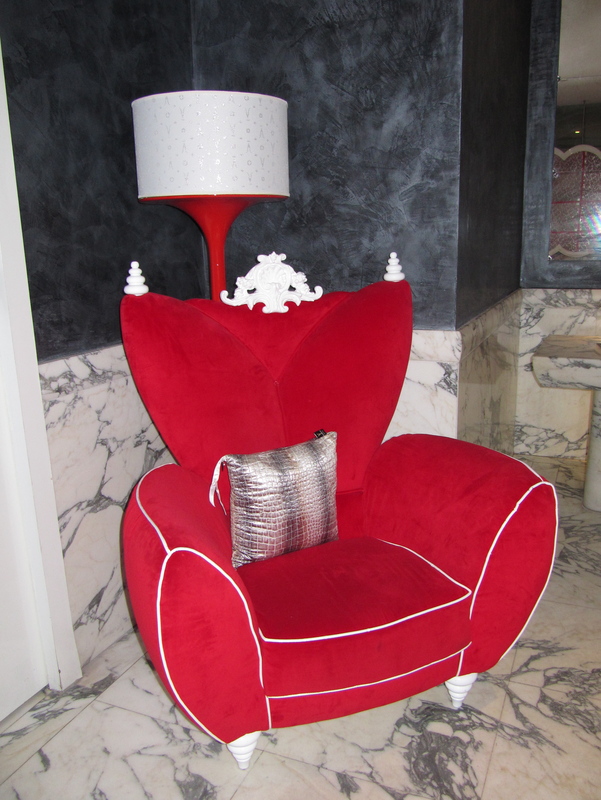 I much prefer the Saphir or Zelo’s bars to the stuffy and boring Crystal Bar in the Hotel Hermitage – I think it’s time my beloved Hermitage opens something that is a bit of fun. You may be pretty, Hermitage but you’re getting to be boring! I do love it there: they have a beautiful cafe (Limun Bar) in the lobby and a great terrace for parties but their bar and restaurant are dull and disappointing. Who wants to go to the type of place they can find in any hotel or airport in the world? Anyway. there is always Zelo’s.They even redecorated in honour of my visit. 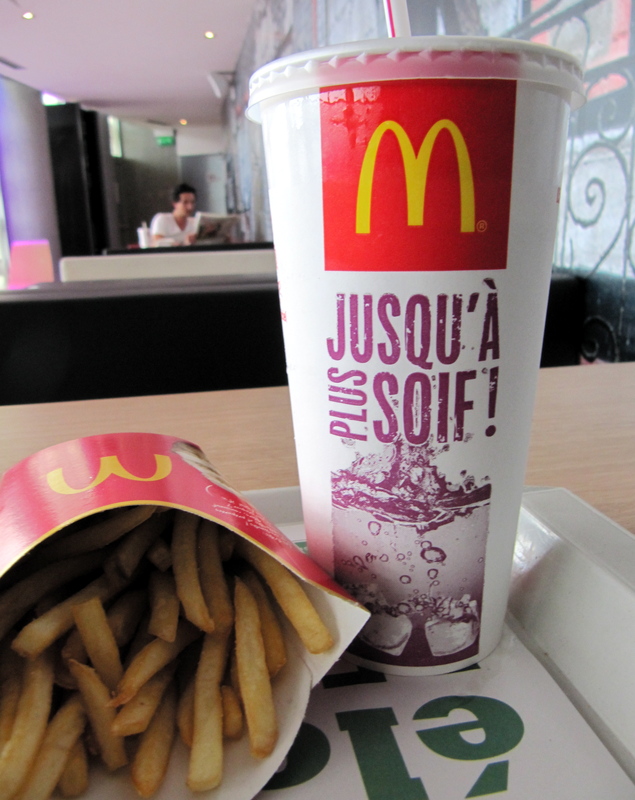 What kind of person goes all the way to somewhere like Monte Carlo to go to McDonald’s? My friends would. The place was absolutely packed full of American tourists on a day trip from St. Tropez. So, I found the one and only McDonald’s in town (which is hidden away in an entertainment and leisure centre with a discrete, green sign) for a shake and chips and got a packet of tomato sauce for someone special who eats them. Yes: I know a person who eats ketchup out of the little packets – here is evidence of my shameful excursion. next time be sure to take me!! Next summer it is then, sweetheart! I’m going in a few months and am going to check out some of these places! Any other recommendations for nightlife or restaurants?